7SEAS Backpacker & Cottages v Gili Air, Indonesia: Zarezervujte nyní! 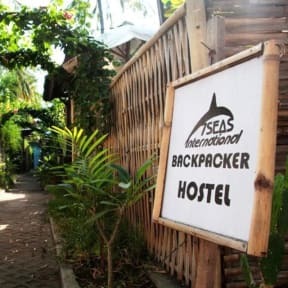 With its perfect location and featuring a dive center, a restaurant and a shop, 7SEAS Backpacker is highly recommended for travelers who want to get an affordable and comfortable stay at the same time. Indeed, our backpacker dorms are cooled by fan and each guest has his own locker. You can either book a single bed or a double bed in the dorm. Dorms host up to 4 people.It is the perfect place to stay that provides adequate facilities as well as great services. We have free Wi-Fi and a swimming pool accessible for all of our guests. Our restaurant provides, from breakfast to dinner, Western and Indonesian food that you could enjoy in front of the beach in a friendly atmosphere. 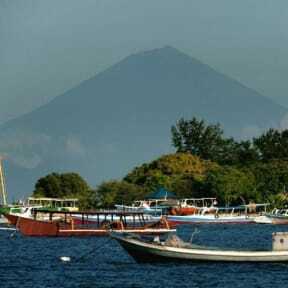 Our dive center offers fun dives and PADI courses and give you the opportunity to explore the underwater world of Gili Air.